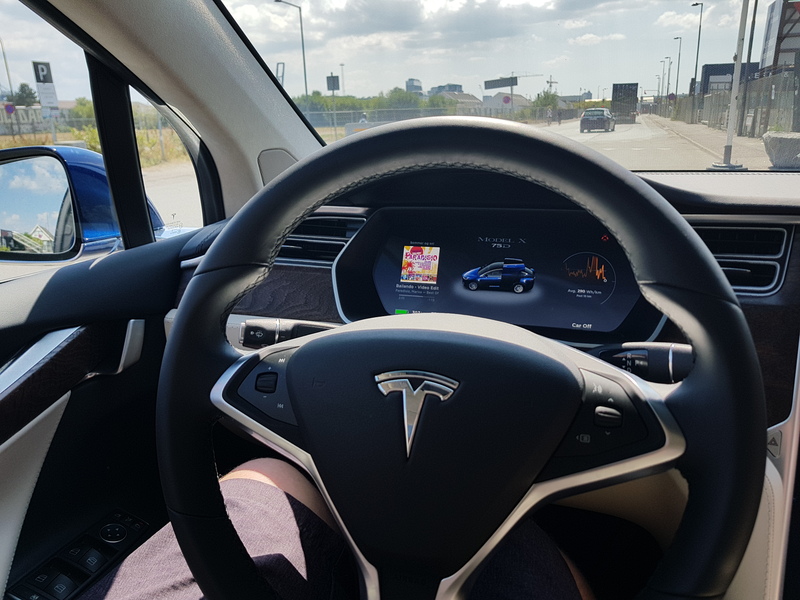 Finally I got to test drive Tesla’s SUV, the model X. 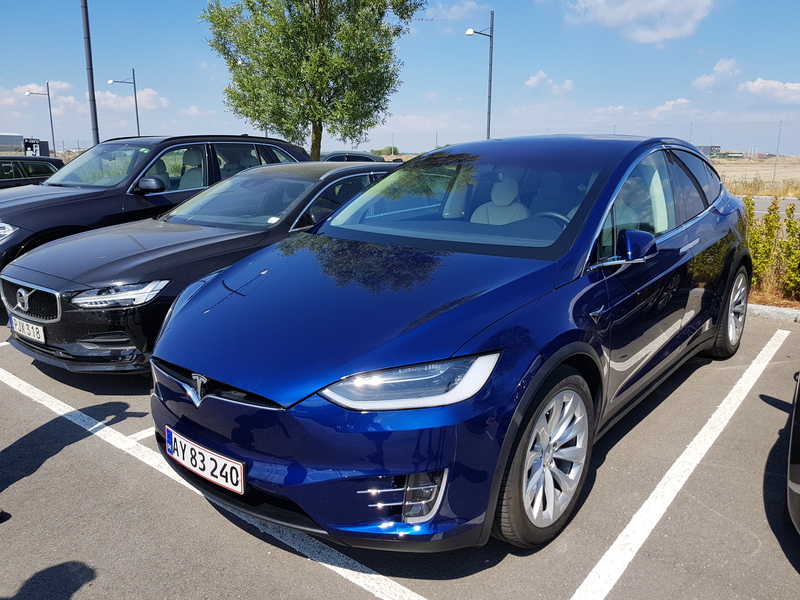 This is the second Tesla I’ve taken for a test-drive, last time it was the Model S.
The version I got to try out was the recently deprecated 60D, technically the slowest model. Yet the fastest SUV I’ve ever driven. 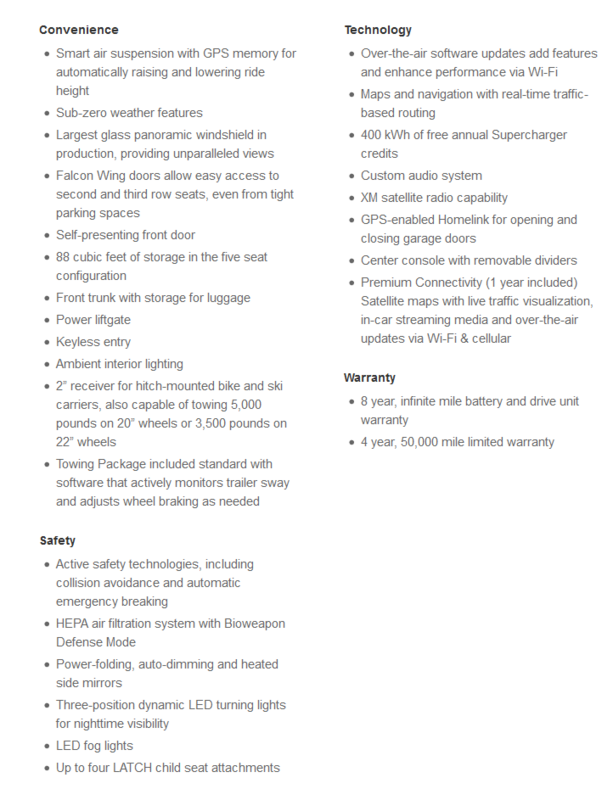 The most basic model X available now is the 75D. 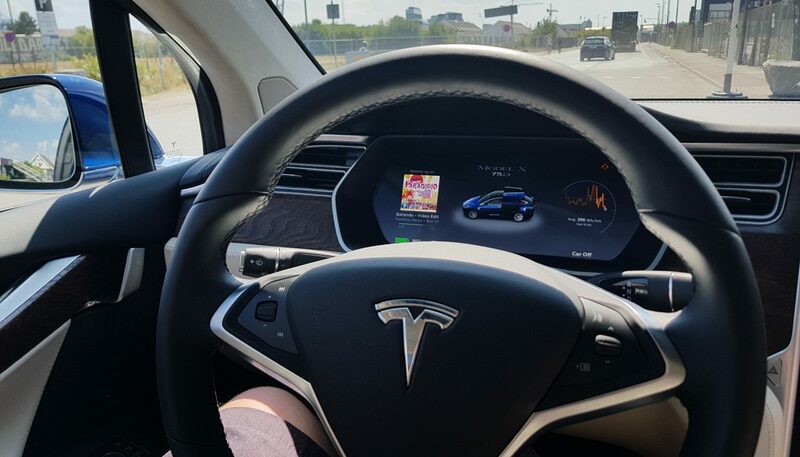 The driving experience is much like driving the Model S. Really it doesn’t feel like driving a large car. Often in large vehicles you feel like you have an inadequate lookout, it feels clumsy and semi responsive. 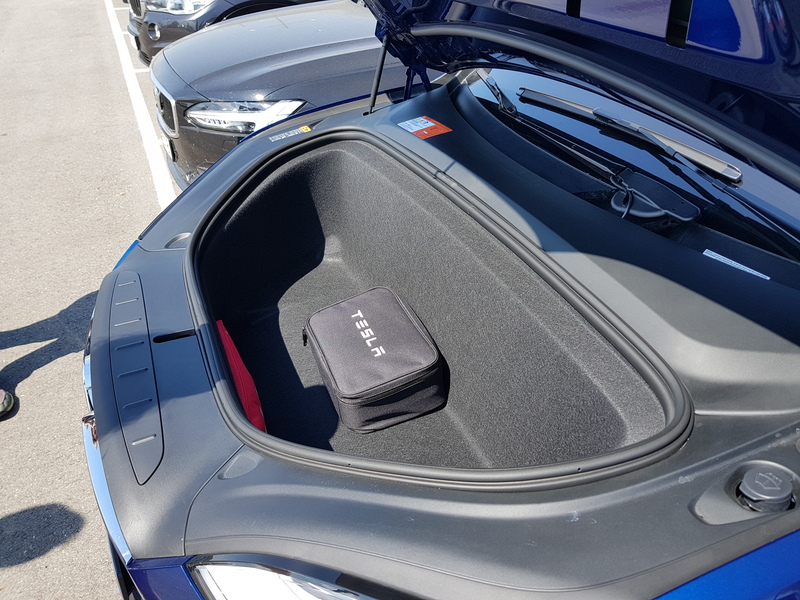 All that comes from the single fact that the car si big, but Tesla has made a great job getting rid of that inconvenience. Lookout is really great, the enormous panorama windshield is a big part of why. Apparently it’s the biggest windshield in any production car. 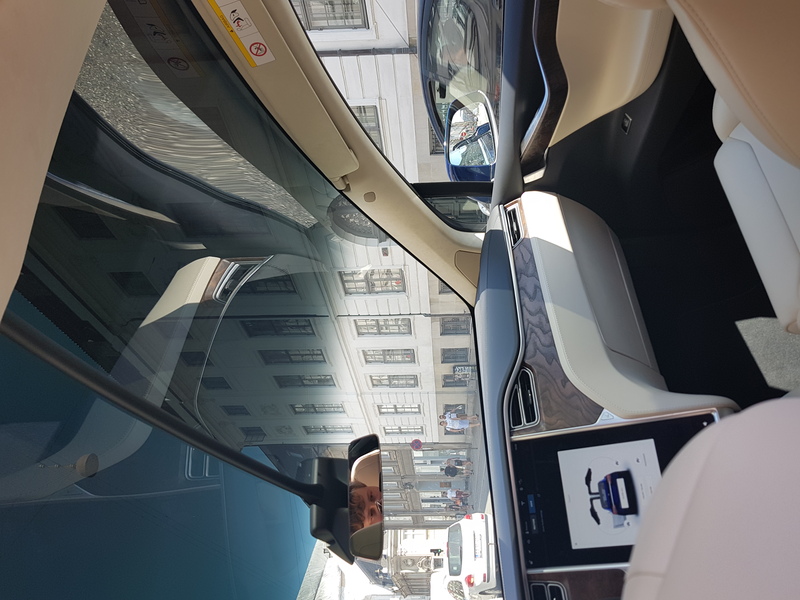 You can also see in the picture that the side windows extend quite far ahead, where there will often be an opaque space Tesla has extended the front side windows with a little bit of extra glass. The interior is overall very classy. 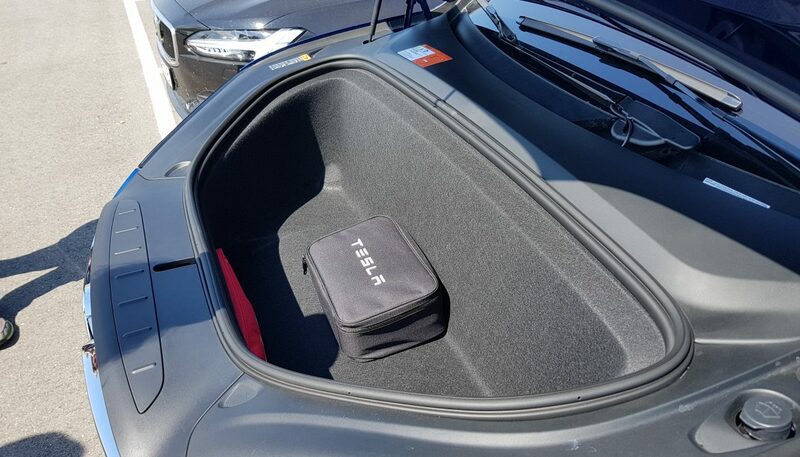 It’s similar enough to the Model S that you can instantly recognize that it’s a Tesla. Still there are many differences, most importantly there’s more space. 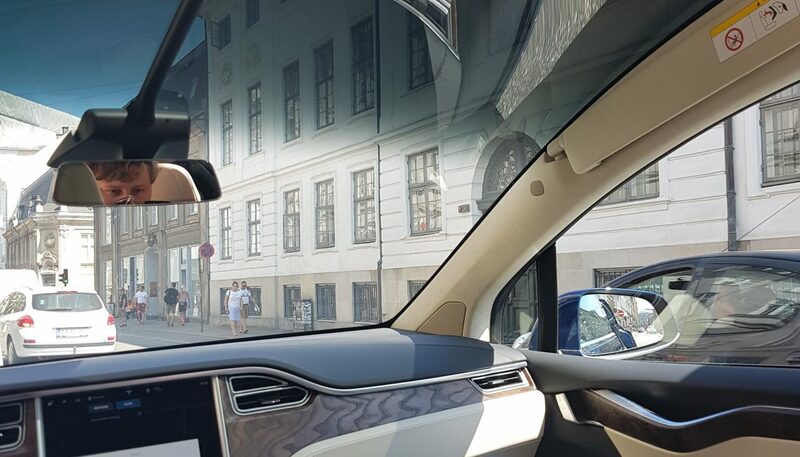 Also notice the sun shields that are on the right by the passenger window in the photo below. It folds out from that position so that you can shield against the sun just like in any other car. The driving experience was an extraordinarily smooth one. The air suspension felt unusual in that it’s generally speaking a fairly stiff suspension, however it’s really not a rough ride. Driving over cobblestones this was especially noticeable, you could feel that the surface wasn’t flat but it felt a lot smoother than in other cars, stiff suspension or not. The sales rep which rode with us described it like this; “You’re supposed to feel the road in this car”, and you really do in a good way. 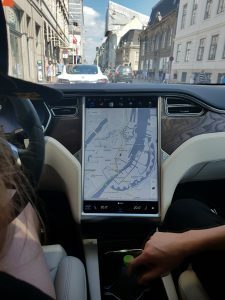 Speaking of suspension, this car has what Tesla calls ‘Smart suspension’ which can lower or raise the car depending on GPS location using user programmed settings. So for example if you often drive on a rough segment you can tell the car to automatically raise the ride when you get there. 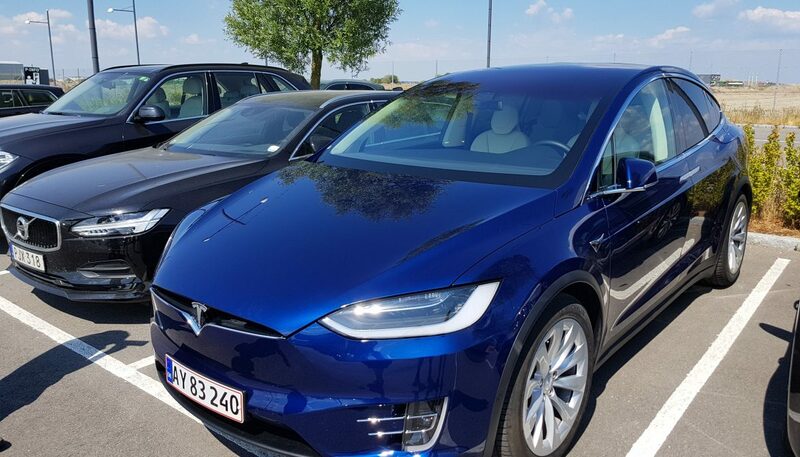 This version of the Model X does 0-100 in 6 seconds, a whole second slower than the Model S 70D I tried out the last time. That wasn’t noticeable though, I and the passengers were as usual impressed when we gave full acceleration a try. Although I am very curious what the fastest model is like. The usual trademarks of a Tesla driving experience were there; the super intense motorbreaking that occurs when you let go of the accelerator, the silence of the car, the smoothness of the ride. 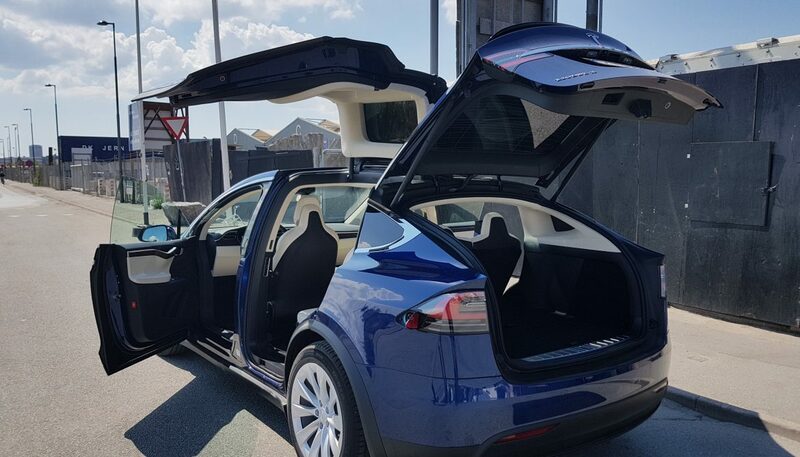 It was all very similar really, so if you enjoy the Tesla driving experience and simply want a bigger car, this is the obvious answer for you. 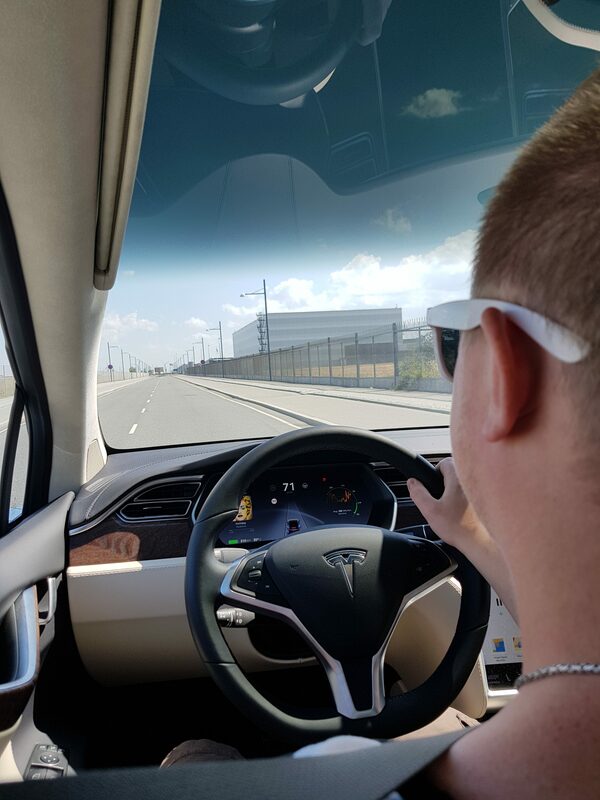 We also got to try out a few of the autonomous functions, such as selfparking, summon, and autopilot. Above you can see what it was like watching it park itself from the inside. Below is when we tried the summon feature. Notice how the sales rep put his feet right in the line of the wheels and the car didn’t hit him. All of these systems seem incredibly safe. 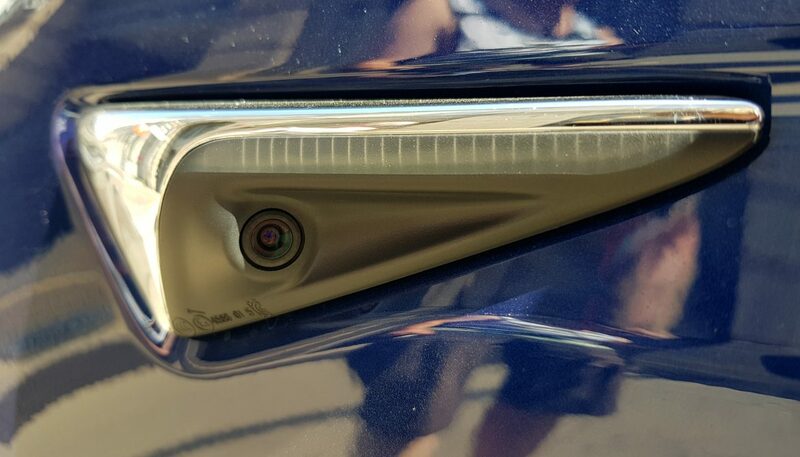 This is thanks to a multitude of sensors and cameras mounted all over the car. 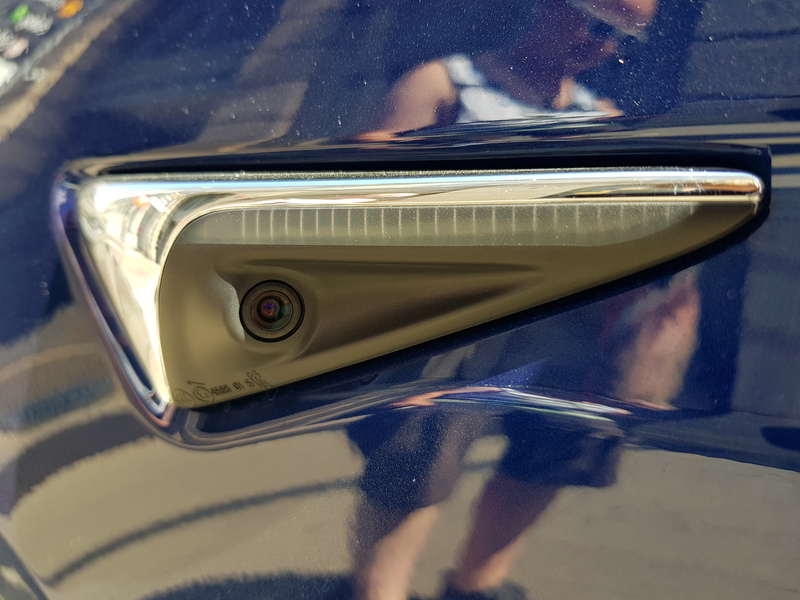 The falcon-wing doors have a safety system in place as well, which uses both visual sensors as well as a pressure sensor, so not even something as small as a finger could get stuck. 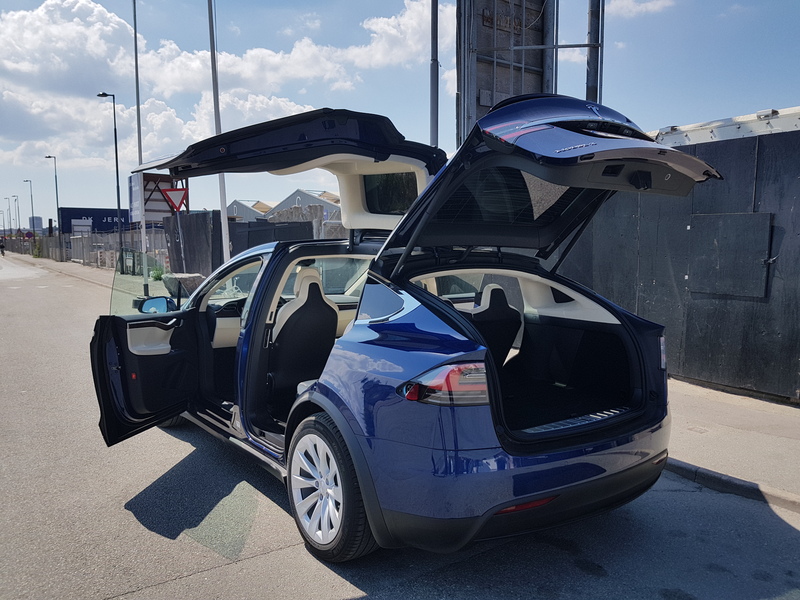 All in all driving the Tesla Model X is just what you’d expect, it’s a bigger version of the Model X driving experience. As for owning one it might be far more convenient due to the extra space that this vehicle provides. 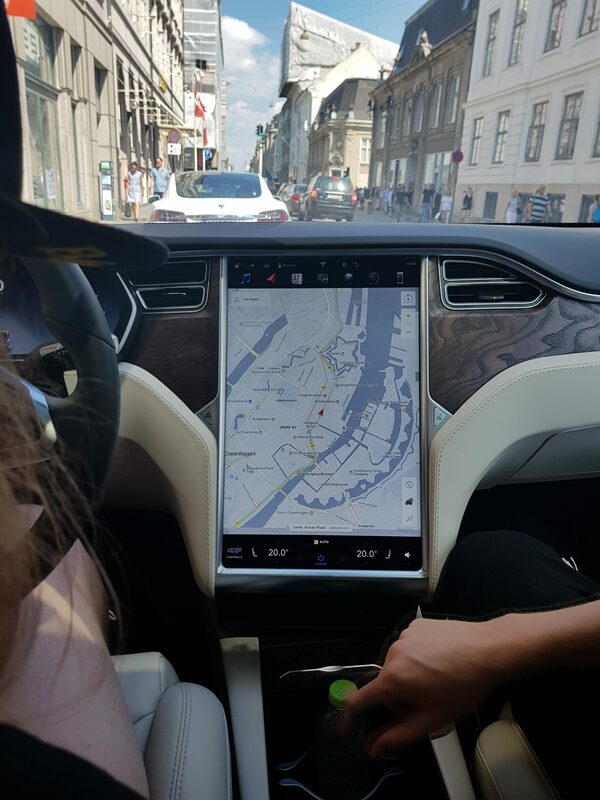 Thanks to Tesla Copenhagen for the test-drive!